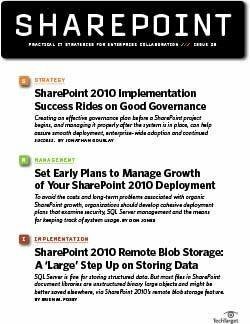 Deploying data protection technologies properly requires a lot of time and patience. 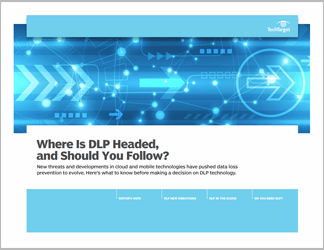 While most firms can get started by using preconfigured policies, experts say that custom policies are essential to making a DLP system perform efficiently. Selection of a DLP vendor of-ten depends on how well the software integrates with the systems in place. Fortunately, enough companies have performed a DLP deployment providing best practices to avoid getting tripped up. The rollout is typically performed slowly and systematically. False positives are still an issue, though the system can be immediately tuned to avoid any disruption to employee productivity. 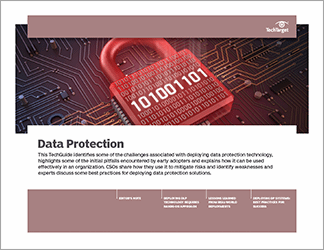 This TechGuide identifies some of the challenges associated with deploying data protection technology, highlights some of the initial pitfalls encountered by early adopters and explains how it can be used effectively in an organization. CSOs share how they use it to mitigate risks and identify weaknesses and experts discuss some best practices for deploying data protection solutions.